Purslane volunteers in my plot every summer, so for weeks on end I come back from the garden with bags of this delicious bonus vegetable. Here is the way I most often prepare it. Omit the meat if you prefer a vegetarian meal, which is equally tasty. Using a salad spinner, wash the purslane well and spin dry. Chop it into 1-inch lengths. In a large skillet, start frying the onion in olive oil. When it is beginning to look transparent, stir in the purslane. Stir and fry until just cooked. 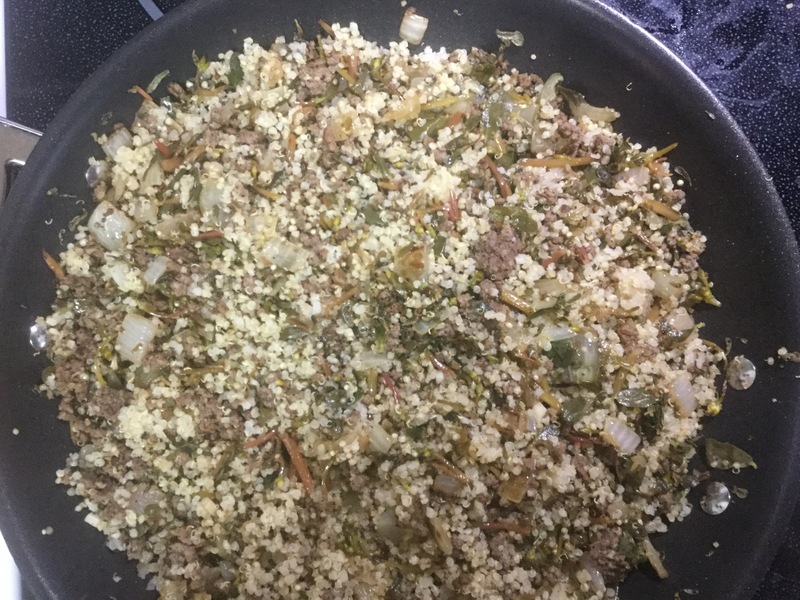 Stir in the garlic and the savory ground meat and cook until the meat is hot. Reduce the heat and stir in the cooked quinoa. Your delicious lunch is ready to serve. Prepare in bulk to freeze and use as needed. Amounts are suggested - change it up any way you like. In a Dutch oven, start frying the onions in enough olive oil to keep them from sticking. Stir in the minced peppers and the ground meat, and continue to fry. Add the salt, oregano, thyme, pepper, garlic and any other seasoning that appeals to you - sage and rosemary are two good choices. If you don't have fresh or frozen hot peppers, you could add some dried chili powder or other dried pepper. Fry until the meat is cooked, then cool and portion out for the freezer. If you freeze the meat on a parchment paper-lined cookie sheet, you can put it in bags after it is frozen and it will be pourable. Great for taking out just the exact amount you need.